Phillipa is a lecturer at the University of Tasmania, Australia. She teaches administrative law and legal research methods. 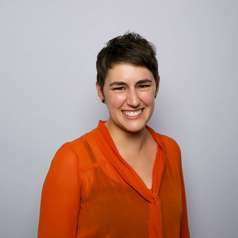 Phillipa graduated from the University of Tasmania in 2007 with a combined degree in social ecology and law (first class honours) and a university medal. She was admitted to practice and worked as a solicitor at an international commercial law firm in government and environmental law, before taking up a position as an associate to the Honourable Justice Lasry at the Supreme Court of Victoria. She was awarded a doctorate in 2018 for her thesis titled: Australia’s legal frameworks for biodiversity conservation: facilitating adaptation in a rapidly changing world. Her work is cross-disciplinary and she has published with lawyers, scientists and policy makers in a range of scientific and legal journals on the challenges of climate change for biodiversity conservation.